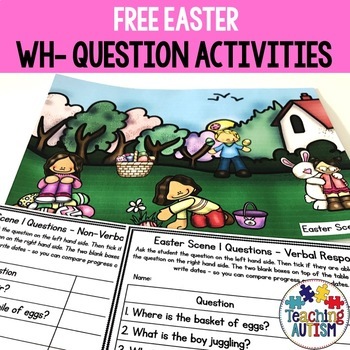 Your students will love working on their wh questions skills in speech therapy sessions - or the classroom - with these free Easter scenes. 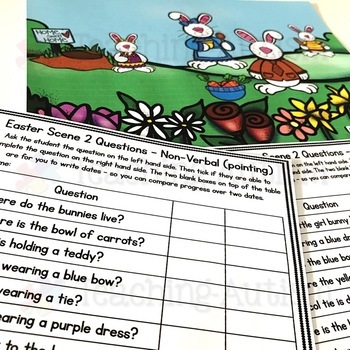 This resource contains 2 different 'Easter' themed scenery images accompanied with two different types of recording sheets/questions. to suit individual student needs. 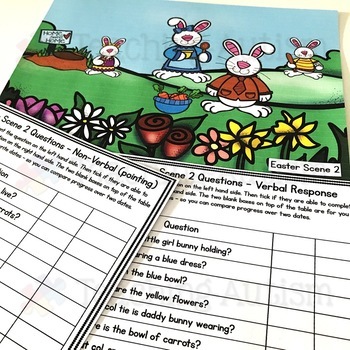 The question/recording cards also come with space to record two different dates to track student progress. 10 questions included for each scene = 20 questions in total. 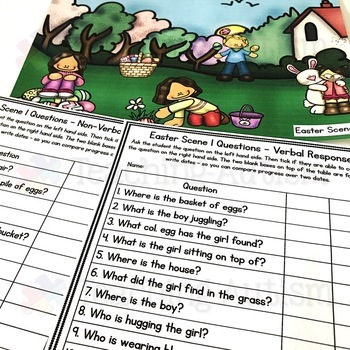 A great way to improve student understanding, attention to detail and question/answering techniques. This resources comes in col option only - no b/w option.